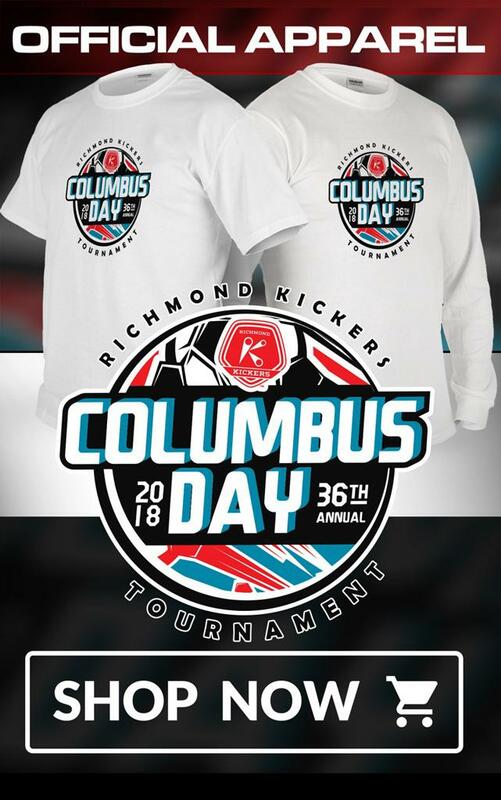 Welcome to the 2019 Richmond Kickers 36th Annual Columbus Day tournament supported by Virginia 529 here in Richmond, Virginia and the surrounding counties including Chesterfield and Henrico. Matches will begin Saturday, October 12th, after 8:00 a.m. and conclude on Sunday, October 13th, 2019 before 6 p.m. NO GAMES ON MONDAY! 38th year and running!!! Be a part of it! Great City, Great Malls, Great Restaurants. GREAT SOCCER!!!! Payment must be made by check with team id # indicated on check. Check must be received within 10 days of online application date. Boys & Girls: U19, U18, U17, U16, U15, U14, U13, U12 (9v9), U11 (9v9), U10 (7 v 7) , U9 (7 v 7), Players must be born in the year of their age group classification or in a later year. All teams must be affiliated with their appropriate governing soccer associations. Teams from outside of Region I must have a copy of the permission to travel form, signed by their association. 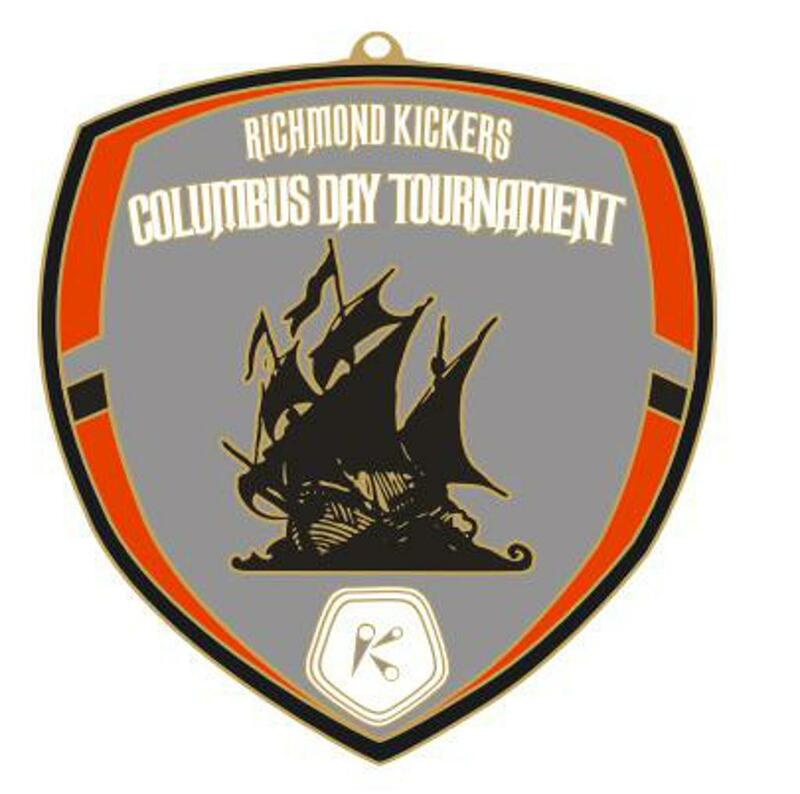 All teams must have current US Youth Soccer or approved organization Player Passes, or the appropriate National Association passes. All teams must provide an official roster that includes all traveling players and team officials signed or stamped by the appropriate registrar. Teams that are members of organizations of the United States Soccer Federation but not members of US Youth Soccer (such as AYSO, SAY, US Club Soccer or Super Y Leagues) DO NOT have to have a US Youth Soccer Application To Travel form (although that team’s organization may require that the team have permission). Such a team roster does need to be provided to tournament officials, however, along with current passes from its organization and a tournament roster listing guest players. Recreation Teams must have recreation player passes and original roster signed or stamped by their club registrar. Recreation passes do not require a photo to be attached. Recreation players must have a medical release form which does not needd to be notarized. 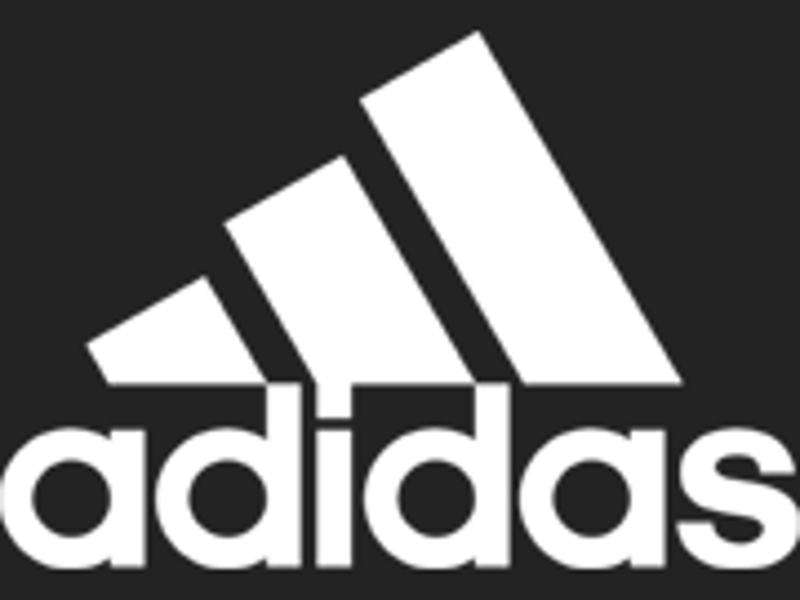 Player passes authorized by the respective soccer associations shall be verified and compared with the approved state roster at team registration. Passes and approved roster must be available for verification by match official prior to the start of match.A player may only play for ONE team during the tournament. Further clarification can be found in the tournament rules. CHECK IN IS ONLINE THIS YEAR! Original and 2 copies of team roster (Guest Players to be written on the bottom of a “Tournament Roster” which will then be photo copied 2 times and submitted. DO NOT write on the original roster as issued by your association!) Guest players must be carded and eligible according to the 2018 Tournament Rules. All player passes (USYSA, US Club Soccer, or Recreation passes). Recreation passes do not require a photo. Permission to Travel forms if required (See rules). Medical release forms for all players. (Your league forms are acceptable.) Medical release forms for each participating player must be presented at team registration. Medical Release forms do not have to be notarized. A Physician’s release must also be presented during registration for any player wearing a cast. (see cast rule) This release must be available for a match official to review. The final decision on whether the player may participate will be up to the match official. The deadline for the event is September 5th, 2019! Teams will be accepted on a rolling basis. The tournament will do its best to schedule three (3) games for each team. However, if an unforeseen event such as weather or late dropout causes the cancellation of any game or all games, the tournament is not liable and no refund is guaranteed.